We are manufacturer, supplier of Die Cuts and our set up is situated in Aurangabad, Maharashtra, India. 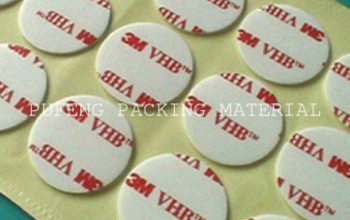 We Die Cut & Convert the whole range of 3M double sided VHB Tapes into a wide variety of shapes & sizes that will streamline your manufacturing process & are ideal for use in installation kits. 3M VHB High Bond Double Sided Tapes can satisfy your job requirements with the exact form, fit and functionality you need. Whether it's laminating adhesives to substrates, precision or die cutting, slitting, "kiss cutting" (having a tab on the tape for easy lift off). 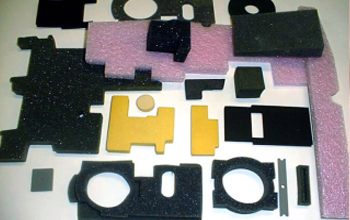 At Embossing & Tape Supplies, we custom engineer Very High Bond (VHB) tapes to meet your precise specifications and manufacturing needs with your custom converted & die cut projects. Diamond Foam tape and Die cuts has a moderately strong Acrylic adhesive, and carried on silicon White release paper. 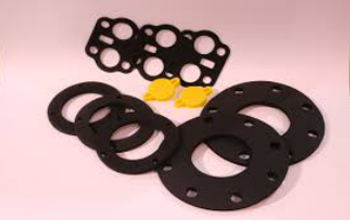 The foam sheet are die cut into gaskets to seal against air, moisture and dust and to protect against temperature and noise. 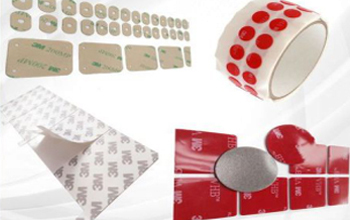 Foam tape facilitate the mounting of parts on uneven surface. Best results Obtained when it’s applied to clean and dry surfaces.